If you are running an e-commerce website, then it is essential to know your ways to take it to more and more prospective consumers and plan for consistent expansion. 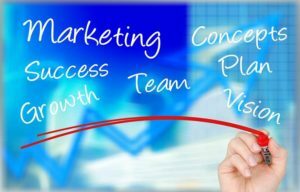 As we can identify, the digital world is overwhelmed with advertising and promotions, and it may seem to be almost impossible for someone to stand above the parapet without constant, consistent effort. Moreover, even if you somehow manage to stand out in the crowd, you need to ensure that you are ultimately making sales and that the customers keep on coming back to you. Creating an ideal digital marketing strategy for your e-commerce marketing is essential, but it is tricky to achieve it in the desired way. 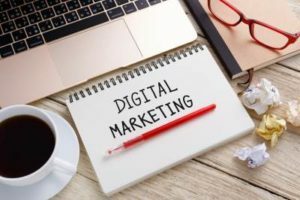 For beginners in digital marketing, it is always a hard thing to know as to where and how to start. However, a skilled digital marketer will be able to develop appropriate plans for eCommerce businesses to do trendy digital marketing promotions. Gone are those days when SEO was all about stuffing keywords and trying to bluff the search engine crawlers to rank you high. With constant updates in terms of search engine algorithms, now SEO is something which has more relevance and accuracy than ever before. So, the key question is where to being? What are my/business’ unique strengths? Where am I winning the most? What is lacking in me? Where am I just an average? Where all I waste resources? You need to then look at the competitors you have in the industry and find what they are up to in terms of their e-com business promotions. Identify why they are better than you and what are your weaknesses in comparison. Always be brutally honest while assessing yourself and also get the opinion of others including customers, stakeholders, and everyone related to you. Take criticism positively and work on it to correct things. Once if you define all relevant KPIs for your business, you can next quantify the results and expected a return on investment of your digital marketing services plans. You can look at the trends to understand where it heads. If you can see a minimal 2% increase in the conversion rate for over six months, then it may not be possible to set a 400% growth over the next six months. You may probably set it realistically to 20%. It is also essential to keep in mind that a good digital marketing strategy may need to adapt as time pass by. You may achieve an 80% increase in the conversion after a month and then seek ways to understand how and why to adjust the figures. Here is the right approach to do it. Social Media – You may use Facebook insights to get a wider understanding of the engagement of your potential consumers. This may, however, discount a big deal of the older target customers who may not likely engage with you on social platforms, but still is valuable to understand those who do. Google Analytics – It’s a handy tool which can give you a fair insight on where your people come from and what kind of searches they conduct to find you out. Sales Staff – It is perhaps the most important source of information as your sales staff understand your customers well. Even if we have various types of digital tools, those may not be good enough to beat the feedback based on real human interactions. The ideal customer personas businesses crate may contain not only details of their online activities, but also their offline styles too. So, try to develop your ideal personas based on all available inputs to identify your target market in depth. Stage #1: Awareness – the customer finds you out through some channels and knows what you offer. Stage #2: Research – they do research on your products or services to what makes you different and considerable. Stage #3: Decision making – they make a decision to purchase from you. Stage #4: Loyalty – they decide to buy from you consistently whenever they need such things. You have to map your ideal client personal to the buying cycle to device your digital marketing strategies. Creating awareness: Search engine marketing, content, social media, blogs, and publishers, etc. Research: Maintain an informative website or blog, interactive content, participate in niche communities. Decision making: eCommerce platform, price listing, promotions, coupons, and offers. Purchase: Upselling, cross-selling, reminding abandoned carts, etc. Building loyalty: Social media campaigns, remarketing emails, loyalty incentives, customer advocacy, etc. Once if you reach to this point of initiating your digital marketing campaigns, it is also essential to do close follow-up through the sales funnel to ensure that your digital marketing campaigns not only bring in people but also convert them into successful buyers.